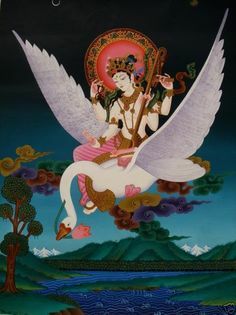 Posted on October 15, 2016 by Redfaery	This entry was posted in My Life with the Gods and tagged devotion, gods, Sarasvati, Saraswati, spirituality. Bookmark the permalink. This is beautiful. ❤ May you always walk in her light!